Come to cross the gentle headwaters of the Mighty Mississippi, and you’ll fall in love with the virgin pine forests, tranquil blue lakes and bike trails that make Itasca State Park and the Park Rapids area one of Minnesota’s favorite “Up North” destinations. Itasca 101 @ 2 p.m. 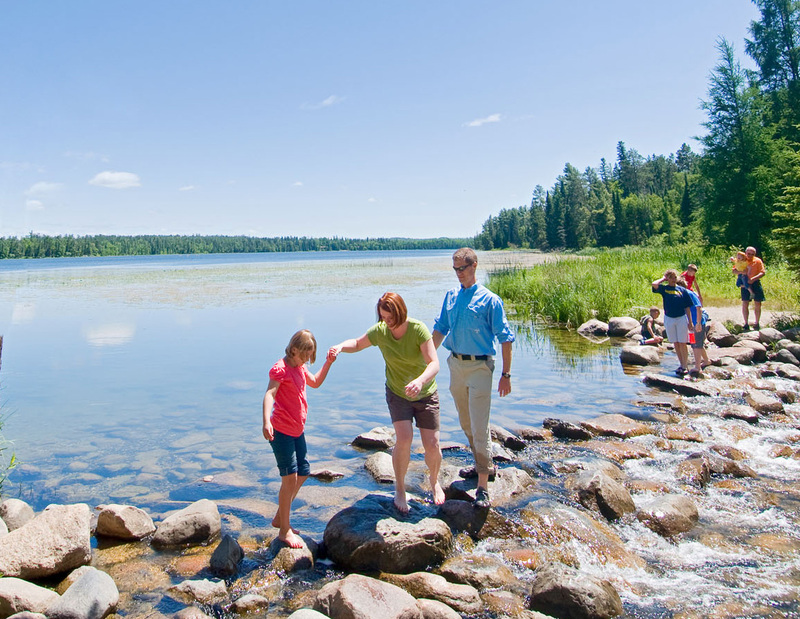 The 32,500-acre Itasca State Park sits about 220 miles north of Minneapolis. 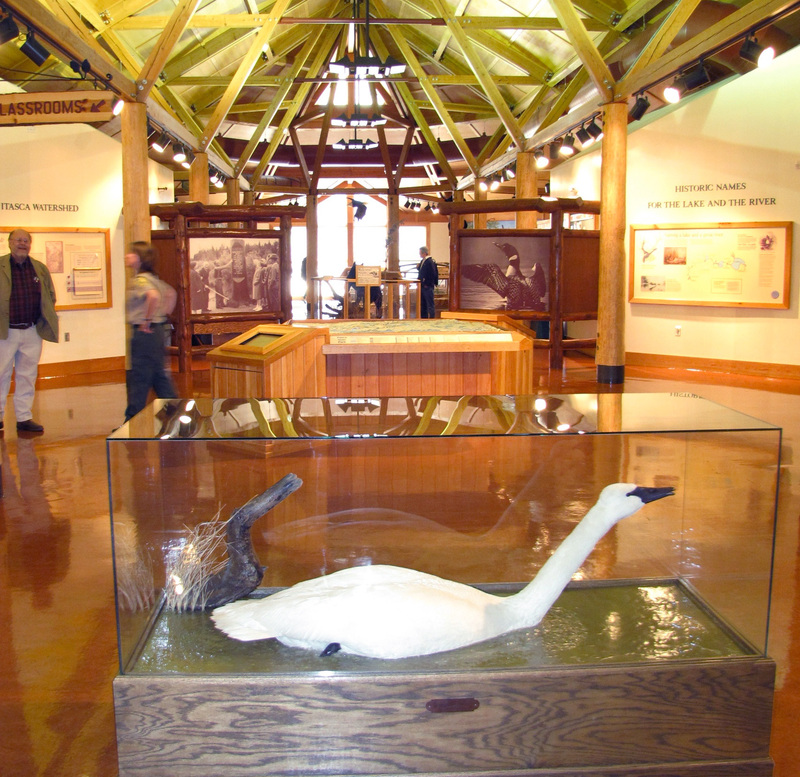 Get oriented to Minnesota’s oldest state park at the Jacob V. Brower Visitor Center. Kids can hide in a hollowed-out tree like local wildlife or try on gear used by forest firefighters; adults can read about natural history and press buttons to learn the meaning of loon calls—from a haunting wail to hahaha tremelos that echo across lakes after dark. Woodsy check-in @ 3 p.m. Check into park lodging at the visitor center. 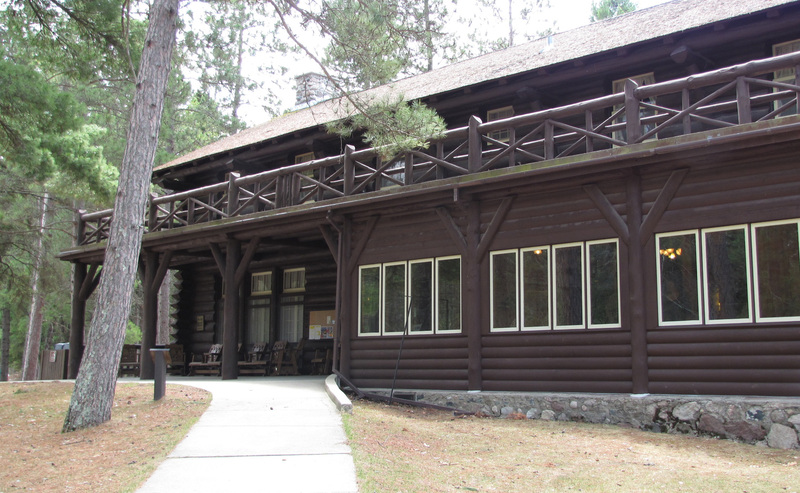 Our pick: historic Douglas Lodge log cabins with stone fireplaces, screen porches and views of Lake Itasca. 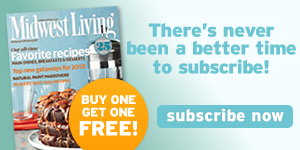 For more modern digs, opt for Four-Season Suites, which are six-plexes with air-conditioning, wifi, televisions and kitchenettes. Hit the trail @ 3:30 p.m. Rent a bike and take a spin on the six-mile trail that runs parallel to Lake Itasca. Stop to marvel at the several-hundred-year-old pines at Preacher’s Grove, and walk down the lakeside steps to enjoy Peace Pipe Vista. Pose at headwaters @ 4:30 p.m.
Take photos at the historic log marker for the Mississippi River’s headwaters. Hop across the line of rocks where Lake Itasca spills into a clear stream that marks the humble beginnings of a 2,552-mile journey that winds across Minnesota before surging south through the United States to the Gulf of Mexico. 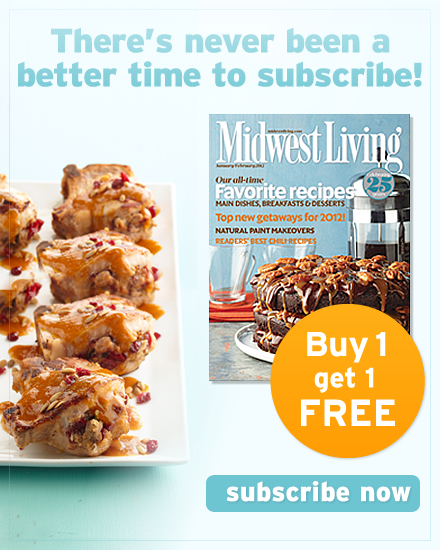 Dine on apple-cranberry-stuffed walleye, venison steak or a homey wild-rice hot dish at Douglas Lodge. Catch the “Music Under the Pines” summer concert series on Sundays, join a naturalist evening program, or use an app or map to identify star constellations mirrored on the water. 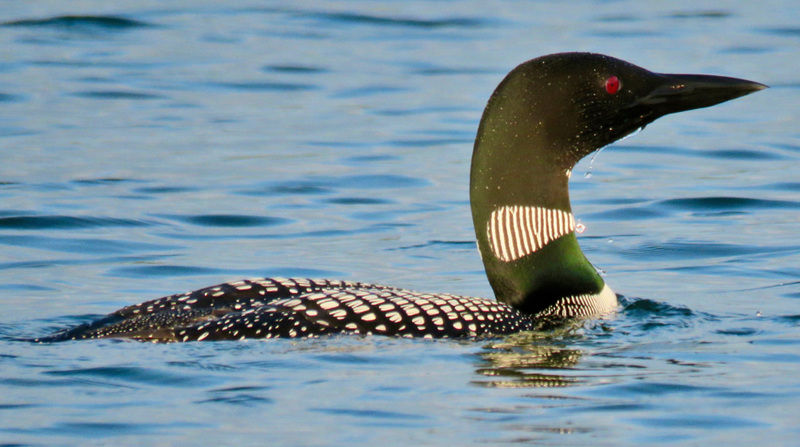 Mimic a loon call and see if you can spark a conversation. 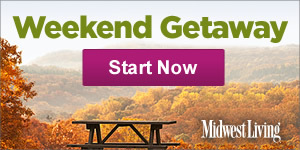 Enjoy an evening campfire and make s’mores as a late-night snack or open a bottle of local wine such as Forestedge Winery’s black currant or white cranberry wines, available at 71 Bottles of Beer and Liquor (on the way back to Itasca State Park). Get carded @ 9 p.m.
Ditch the electronics—open the windows, listen to the nighttime chorus, and play cards with your own deck or a Minnesota-themed one from the park gift shop. Our favorites: Rummy, Trash and Spite and Malice. Fuel up @ 8 a.m.
Start the day with wild rice pancakes and cranberry wild rice French toast at Douglas Lodge. Do the Drive @ 9 a.m.
Drive the 10-mile Wildlife Drive with stops to see burial mounds in the Itasca Indian Cemetery and learn about the park’s history at Mary Gibbs Mississippi Headwaters Center. Grab a to-go sandwich or salad from the cafeteria for later. Climb a tower @ 10 a.m. Follow the drive to hug Minnesota’s largest white pine (more than 100 feet tall) and climb the 100-foot Aiton Fire Tower for a sweeping view above a maple-basswood forest. Keep an eye out for wildlife, such as trumpeter swans and cygnets on lakes, deer grazing in the woods or signs of wolves. The drive, much of it one-way, covers only a fraction of Itasca’s 32,500 acres—it’s one of Minnesota’s largest state parks. Let the kids swing clubs for mini-golf, race go-carts, drive bumper boats and solve escape room challenges at Evergreen Funpark 10 miles south of Itasca State Park on Highway 71. Shop Park Rapids @ 1:30 p.m.
Park in the middle of the street (really!) 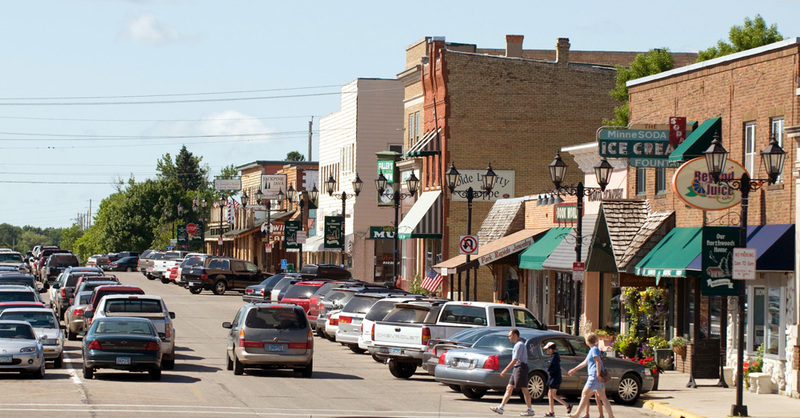 and stroll through downtown Park Rapids with its old-fashioned Ben Franklin store, boutiques and sidewalks decorated with some of the area’s 400 lakes. Beagle and Wolf Books and Bindery touts Minnesota novels, national bestsellers and great cabin reads. The scent of fresh-stirred caramel in copper pots wafts from Aunt Belle’s Confectionary while glass cases brim with fudge, turtles and toffee. Go Italian @ 4:30 p.m.
Sip a spiked basil lemonade while you wait for a tangy salad or beautifully browned crock of manicotti or lasagna at Necce’s Ristorante in downtown Park Rapids for an early dinner. Try homemade spumoni made with raspberries and pistachios for a sweet finish. Catch a concert @ 6 pm Necce’s often has live music on summer weekends, but you can also catch a two-hour concert downtown Park Rapids on Thursday nights. Plan B? Take a Lake Itasca sunset cruise. Rent a kayak, canoe, pontoon or fishing boat from Itasca Sports. Start sweet @ 9 a.m. Grab a scone, bagel and coffee or chai at Bella Caffé in downtown Park Rapids. Heartland Trail ride @ 9:45 a.m. Rent bikes at Northern Cycle in Park Rapids and take a 6.5-mile ride on the Heartland Trail east to Dorset. (If you’re feeling more ambitious, tack on another 5.5 miles to reach Lake Belle Taine and Nevis, where you can pose by the giant tiger muskie). Discover Dorset @ 10:30 a.m. This tiny dot on the map (estimated population: 22) ranks high in cuteness with its tongue-in-cheek elections of 3- and 4-year-olds as mayor, its collection of shops, and self-proclaimed title as the Restaurant Capital of Minnesota (based on per-capita ratios). Look for man-cave and cabin décor, children’s toys and good books, sandals and kick-back shirts at shops such as Lundrigan’s Clothing and Dorset General Store. 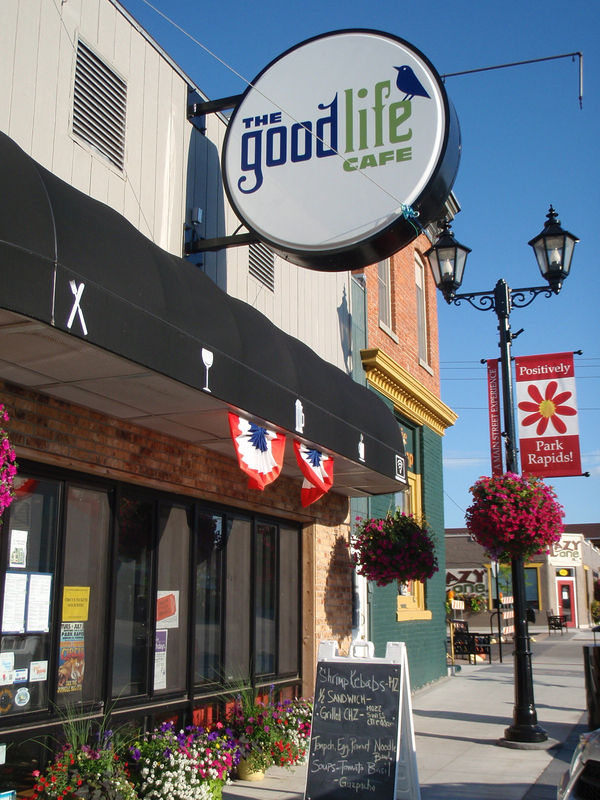 Dine on a walleye BLT and Philly sandwich made with bison wild rice meatballs at Park Rapids’ Good Life Cafe.